Although I complain about the weather getting colder, I secretly love it. Mostly because it means that I can wrap up in 5 layers without being judged, and I can make countless cosy treats, including my ultimate favourite: apple pie. Apple pie are my favourite comfort food. Even though it takes a little while to make (and cook) them I find it relaxing and an opportunity, if I wish, to be creative by decorating the top. Naturally during the Fall season I decided on a leaf pattern, but you can do whatever you would like. 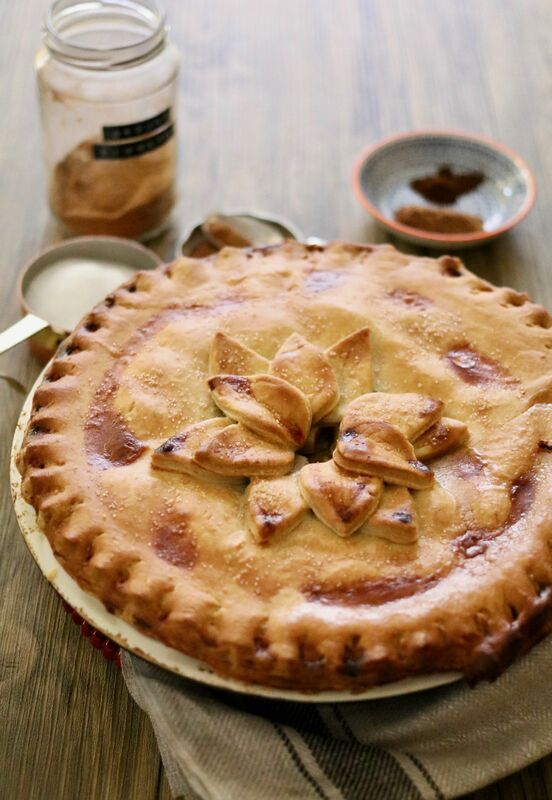 Although there are countless recipes for apple pie online – of which I have tried many, I still prefer my own. Maybe I’m biased, but I love the combination of sweetness (but not too sweet) and spices, whilst not letting the filling get too juicy. In my opinion it’s the perfect basic apple pie recipe that won’t let you down. If you ‘re not a fan of apple pie why not try my mini apple crumbles from my recipe post here. Using an 20cm (8″) pie dish. 1. Preheat your oven to 200℃ and get your pastry out of the fridge so it has time to get to room temperature (this is key!). 2. Core, peel and slice all your apples into roughly 3mm thick slices – you don’t need to be too precise, but try to keep the slices of a similar size. Place the slices into a bowl and stir in the lemon juice, the bulk of the sugar, spices and flour. Mix well until the apple is coated. 3. Place the apple mixture to one side and get ready to roll out the pastry by dusting your surface with some flour. Roll out 1 lot of pastry so it fits comfortably into the bottom of your pie dish. Cut off any excess pastry from the edge of the pie dish and set to one side. 4. Now place the apple mixture into the pie dish. To make the apple layer up evenly start by placing one layer of apple onto the bottom and then do a second and so forth until all the apple is used up. Make sure the filling goes up to the top of your pie dish – if it goes over this is fine, but you want a full pie dish to make an amazing apple pie. 5. 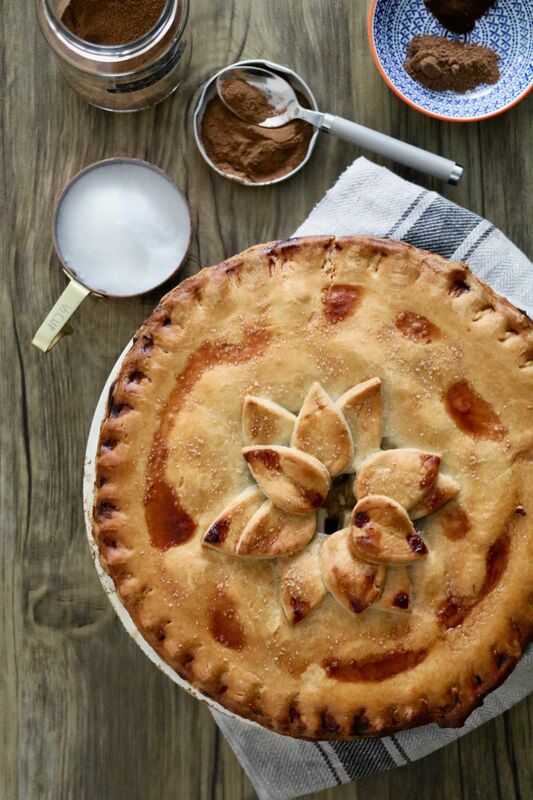 Make sure your surface is dusted with flour again so you can roll out the other lot of pastry to over your pie. Once you have placed and trimmed your pastry brush some of the dairy free milk across the edge of the base layer of pastry to seal the top to the bottom. Next, to make sure the pastry is sealed, gently pinch/crimp together the edges of both layers of pastry to create a lovely pattern. 6. Now you need to cut a small hole roughly 1cm (or slightly less) in the middle of your top layer of pastry so that your pie cooks well all the way through. If you’re feeling creative you can use the remaining pastry to cut out shapes to decorate the top of your pie as I have done, however this is not necessary. But remember if you do you’ll need to glue them down with your dairy free milk, otherwise they could fall off. 7. When you’re ready to place your pie in the oven brush over some dairy free milk to cover the top of the pie so it doesn’t burn. With the extra portion of caster sugar, you can sprinkle this on top to add a little extra sweetness and sparkle. 8. Place your pie in the oven for 40 – 45 minutes, until it is golden brown and the apples are cooked well through. Wait 10-15 minutes before serving. 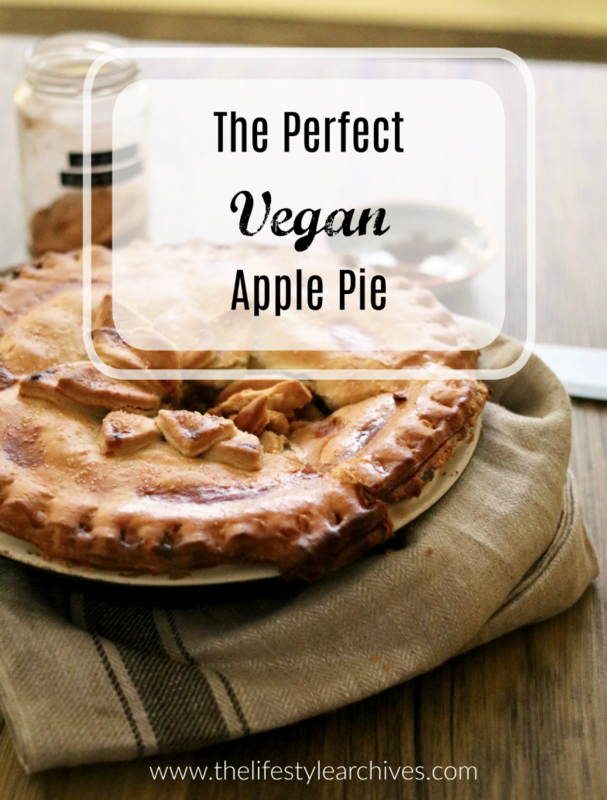 You can pair this apple pie with either dairy free cream, custard or ice cream, or as it is – which is my preferred way. Previous Post Too Faced Peach Perfect Setting Powder: The Best Powder Of Them All? This looks and sounds delicious! 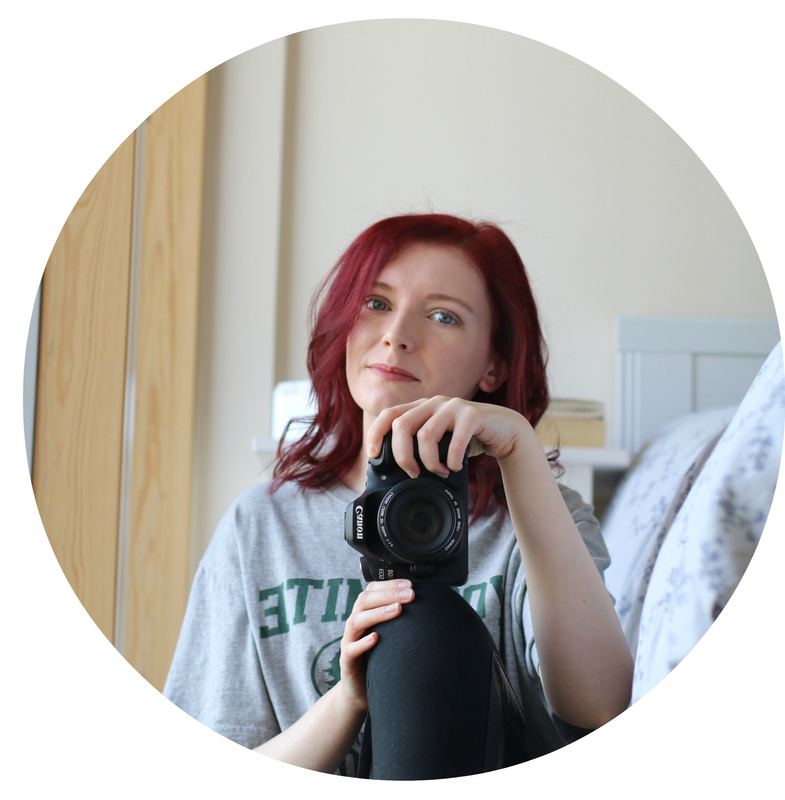 Thank you for sharing, I always on the look out for dairy free / vegan recipes.